Auto Safety Archives | Liggett Law Group, P.C. If you don’t happen to own a car or find yourself using ride-sharing apps often, you’d probably be familiar with Uber. While the taxi-like service is widely used amongst those who prefer to use ride-sharing apps, it has had its fair share of bad press since its inception in 2009. The company recently announced in New York City at an unveiling of its upcoming new features, that it aims to make safety a number one priority. There’s a good reason all roads in the U.S. have maximum posted speed limits. Speeding while behind the wheel is incredibly dangerous. According to the National Highway Traffic Safety Administration (NHTSA), speeding killed 10,111 people in 2016. This accounted for 27% of all traffic fatalities. Despite the dangers, many Lubbock drivers continue to speed, putting everyone on the roadways at risk. 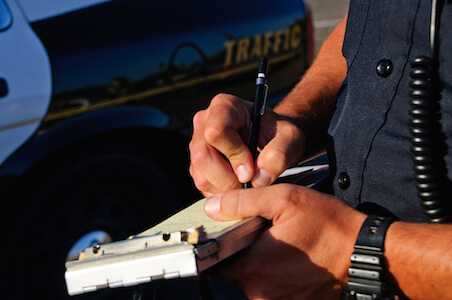 To combat speeding drivers, the Lubbock Police Department is cracking down on violators. Safety technology in motor vehicles has come long way over the years. Cars are now being equipped with lasers that can detects cars, pedestrians, and other hazards and apply the brakes all before the driver knows what happened. This type of technology is helping to prevent accidents and injuries across the country, and now these same technologies are being applied to some of the most dangerous motor vehicles: semi trucks. Tesla Motors is manufacturing semiautonomous 18-wheelers that could drastically reduce the number of trucking accidents.